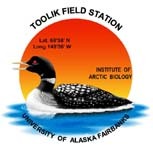 » Hourly weather data from the Arctic LTER Moist Acidic Tussock Experimental plots from 1990 to 1999, Toolik Field Station, North Slope, Alaska. Combined all hourly data into one file and output an ASCII file for LTER database 5Mar98 Jiml. Version 2: Metadata updated to newer form (with sites sheet). Units updated to current standards. Discrepancy with variable names fixed. CH April 2013.